Abler, Thomas S.. "Kanyen'kehà:ka (Mohawk)". The Canadian Encyclopedia, 16 October 2018, Historica Canada. https://www.thecanadianencyclopedia.ca/en/article/mohawk. Accessed 19 April 2019. Kanyen'kehà:ka or Kanien'kehá:ka (“People of the Chert”), commonly known as Mohawk by non-Kanyen'kehà:ka, are Indigenous peoples in North America. They are the easternmost member of the Haudenosaunee Confederacy, also referred to as the Iroquois or Six Nations Confederacy. In the early years of the 17th century, they resided on the banks of the Mohawk River in what is now upstate New York. They became intensely involved in the fur trade and in the colonial conflicts of the next two centuries. Many had moved to the St. Lawrence River before 1700 and following the American Revolution, the remainder moved to Canada to reside in territories controlled by their ally, Great Britain. Here, the Kanyen'kehà:ka have garnered a reputation of militancy in maintaining their language and culture, and for defending their rights. Chiefs of the Six Nations at Brantford, Ontario, explaining their wampum belts, 1871. 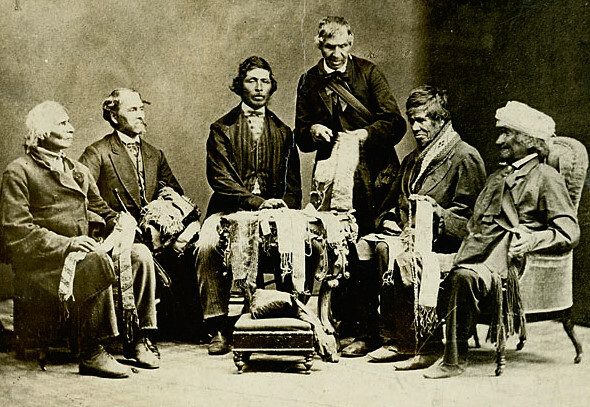 Pictured: Onondaga Chief Joseph Snow (Hahriron), Mohawk Chief George H. M. Johnson (Deyonhehgon), Onondaga Chief John Buck (Skanawatih), Mohawk Chief John Smoke Johnson (Sakayenkwaraton), Onondaga Chief Isaac Hill (Kawenenseronton), Seneca Chief John Seneca Johnson (Kanonkeredawih). The Haudenosaunee Confederacy, initially consisting of five nations — Onöndowàga (Seneca), Goyogohó:no (Cayuga), Onöñda’gega (Onondaga) and Onyota’a:ka (Oneida) — was likely formed sometime prior to European contact. The sixth nation —Tuscarora — joined later, between 1722 and 1723. They are now referred to as the Rotinonhsyón:nih or Six Nations Confederacy. The history of the confederacy gives the Kanyen'kehà:ka and their chief Hiawatha an important role in creating the political union of the original five nations residing south and east of Lake Ontario. Oral record states that Deganawida (the Great Peacemaker) journeyed from his birthplace on the Bay of Quinte to the Mohawk country. Here, he encountered Hiawatha and convinced him to take up his message of peace. Hiawatha became spokesperson for the Peacemaker and the two convened a grand council of 50 chiefs. The structure of the confederacy was established and the Tree of Peace was planted. All Haudenosaunee nations and their allies sit in the shade of that tree. Kanyen'kehà:ka occupied territories in parts of what is now upstate New York and later, the St. Lawrence region in Canada. Since Kanyen'kehà:ka territories predate the creation of the Canada-US border, some communities, like the Akwesasne reserve near Cornwall, Ontario, straddle the borders between Ontario, Quebec and New York State. The Kanyen'kehà:ka and their neighbours were agricultural peoples, depending upon the “three sisters” (corn, beans and squash) for sustenance. Responsibility for planting, tending and harvesting these crops lay with the women of the village, although the fields were initially cleared by the men. A truce between New France and the Kanyen'kehà:ka was arranged in 1645. Father Isaac Jogues attempted to establish a Jesuit mission in their country, but was suspected of witchcraft and killed. Shortly afterward, the Kanyen'kehà:ka and Onöndowàga (Seneca) combined to drive the Huron-Wendat from their homeland. The French burned Kanyen'kehà:ka villages in the autumn of 1666 and then pressed for peace. The Jesuits established a mission and encouraged their converts to move to the St. Lawrence, away from English influence, where settlements were established in the 1670s. Among those who migrated was a young Kanyen'kehà:ka woman, Kateri Tekakwitha, whose devotion to her new Catholic faith resulted in her 2012 canonization by Pope Benedict XVI. In 1710, three Kanyen'kehà:ka chiefs and a Mahican journeyed to London, England, where they were presented to Queen Anne. To counteract French and Jesuit influence, Anglican missionaries were promised to the Mohawk, and the queen presented communion silver for a chapel. Catholic Kanyen'kehà:ka from the St. Lawrence played an active role as French allies, participating in the destruction of Deerfield, Massachusetts, in 1704 and Groton, Massachusetts, in 1707. During the 18th century, Kanyen'kehà:ka still living in two principal towns on the Mohawk River found themselves increasingly surrounded by European settlers. They adopted the housing styles of their neighbours and were closely tied to the British administration. The superintendent of Indian Affairs for the British (see Indian), Sir William Johnson, married a Kanyen'kehà:ka woman, Mary Brant, and engaged Kanyen'kehà:ka warriors against the French in the Seven Years’ War (known in North America as the French and Indian War). 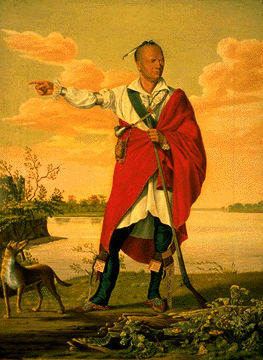 Johnson died before the outbreak of the American Revolution, but the Mohawk joined that struggle in 1777 under the leadership of Thayendanegea (Joseph Brant, Mary Brant’s brother), who had just returned from England. Brant and his warriors frequently defeated the Americans in battle but were forced to flee their homes, which were confiscated and used by American settlers. After the war, Brant and his followers settled on the Grand River on a grant (see Haldimand Proclamation) secured for them by Governor Frederick Haldimand (now the Six Nations reserve). Other Kanyen'kehà:ka, under John Deserontyon, settled on the Bay of Quinte. These Mohawk were largely Anglican, and the Queen Anne communion silver was divided between the two reserves. 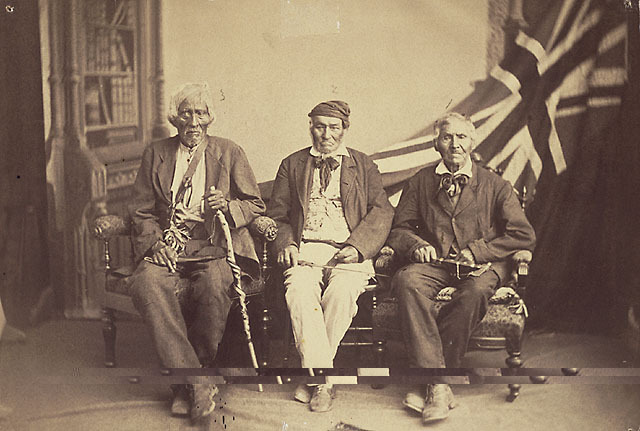 Brant and Teyoninhokarawen (John Norton) also led many Kanyen'kehà:ka into the War of 1812 on the side of the British. (See also First Nations and Métis Peoples in the War of 1812.) This alliance extended further into the 19th century when skilled Kanyen'kehà:ka boaters from Kahnawake outside Montreal were recruited to ferry General Lord Garnet Wolseley’s army up the Nile in 1884–85. (See also Nile Expedition.) Kanyen'kehà:ka, and Indigenous peoples in general, have supported the Canadian armed forces in both the First and Second World Wars, as well as other armed conflicts. The Kanyen'kehà:ka who settled in Ontario and on the St. Lawrence became increasingly incorporated into the economy and society of the settler world surrounding their communities. 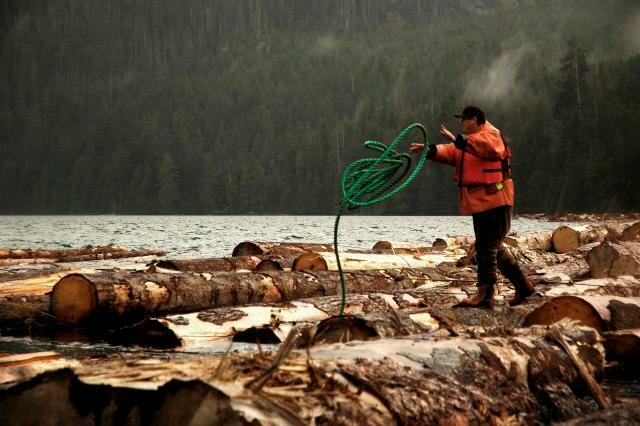 By the late 19th century, many of the Kanyen'kehà:ka on the Six Nations reserve had become highly successful farmers. For well over a century, work in structural steel has been something of a national occupation for the Kanyen'kehà:ka, particularly those from Kahnawake. This began in 1886 when the Dominion Bridge Company was building the Saint-Laurent Railway Bridge, which required taking a portion of the Kahnawake reserve. Having agreed to employ Kahnawake Mohawks on the project, the company quickly realized their skill at steel work. Work in high steel therefore became a Kahnawake Mohawk occupation. Kanyen'kehà:ka have been militant in defending their lands and rights against encroachment and active in pursuing claims of lands they believe were illegally taken from them. In the 1950s, the people of Kahnawake resisted the taking of their lands for the St. Lawrence Seaway. The writer, Pauline Johnson, who was highly praised for her poetry and her stage presence at the turn of the 20th century. Jay Silverheels, an actor who appeared in numerous Hollywood films and played Tonto in television’s Lone Ranger. Kahn-Tineta Horn gained fame as a model and as an outspoken advocate of Kanyen'kehà:ka rights. Her daughter Waneek Horn-Miller followed in her steps as an advocate while also co-captaining the Canadian Olympic water polo team in 2000. 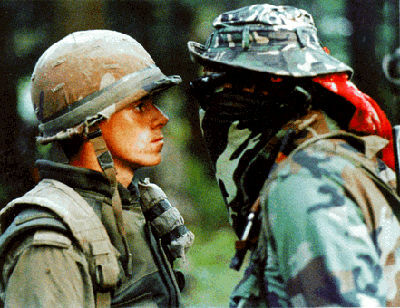 Stabbed by a soldier’s bayonet as a 14-year-old during the Oka Crisis, Horn-Miller continues to be an activist. Roberta Jamieson served as ombudsman for the Ontario government from 1989 to 1999. As a boy, musician Robbie Roberston spent summers among his mother’s kin on the Six Nations reserve and went on to rock music fame as a member of The Band. In 1981, a law of the Mohawk Council of Kahnawake banned any band member with a non-Indigenous spouse from living on its territory. In 2014, seven people sued the council and challenged the law. They were joined by nine other plaintiffs in 2015. In April 2018, the Quebec superior court ruled the law unconstitutional. Olive Dickason, Canada's First Nations (multiple editions). B.G. Trigger, ed, Handbook of North American Indians, vol 15: Northeast (1978). 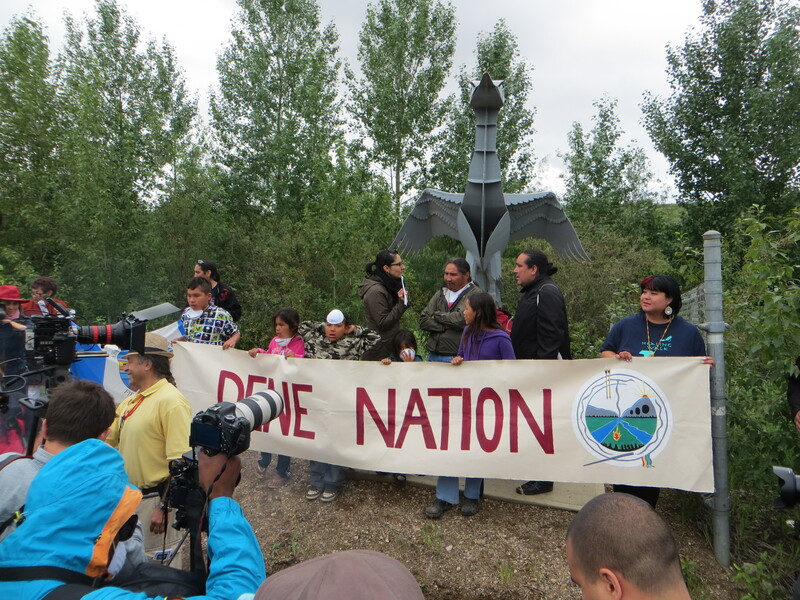 Six NationsExtensive site devoted to current and historical issues of importance to the Six Nations community. Peacemaker A Heritage Minute about the Iroquois legend of the great Peacemmaker, who created the confederacy known as the League of the Six Nations. From Historica Canada. See also related learning resources.